It is quite a herculean task to dethrone the Toyota Camry. For several years, it has been arguably the most dominant midsize sedan—thanks to its ability to combine durability, dependability, expert engineering, outstanding ride quality, and remarkable fuel economy in a nicely sized four-door package. And for the 2018 model year, the Camry has a brand-new design to usher in its eighth generation of production. However, that doesn’t mean that the Camry still exists unchallenged. Indeed, over the past couple of years, the stalwart of the midsize sedan has found itself competing with much newer entries like the Kia Optima for the hearts of younger drivers with its attractive styling. But there’s more to the Optima than an alluring profile. It is packed with substantive characteristics that make it a better choice than the Camry in the 2018 model year. Perhaps in response to the continued popularity of crossovers, which offer the good fuel economy numbers of sedans while using the increased interior space of SUVs, midsize cars offer more passenger and cargo volume than ever before. The 2018 Toyota Camry seizes the opportunity of its complete redesign to supply 100.4 cubic feet of passenger volume and 15.1 cubic feet of cargo volume. The 2018 Kia Optima might not represent a brand-new design, but it already offers more interior room. It has a passenger volume of 104.8 cubic feet (4.4 more cubic feet) and 15.9 cubic feet (0.8 more cubic feet). Since their introduction in 2014, Android Auto™ and Apple CarPlay™ have become more ubiquitous in vehicles as standard or optional features. These apps enable you to execute infotainment functions—such as receiving turn-by-turn directions, making and receiving phone calls and text messages, and streaming your favorite music tracks—with your Apple or Android mobile devices. Thus, your phone becomes the remote control and the infotainment display becomes the TV screen. For the 2018 model year, Android Auto™ and Apple CarPlay™ are made standard on all Kia Optima trims. By comparison, neither app is available, let alone standard, on the 2018 Toyota Camry. At a time when Android Auto™ and Apple CarPlay™ is widely adopted, this is a glaring omission on a midsize sedan, especially one that is universally regarded as a class leader. Also for the 2018 model year, blind spot monitoring is made standard on the 2018 Kia Optima. Considered an advanced safety technology, blind spot monitoring enables you to be more aware of motorists at your side and rear. Accompanying blind spot monitoring is rear cross-traffic alert, with which you will be able to detect vehicles approaching from your sides when you’re backing out of your garage or parking lot. While this robust safety system is standard on all Optima trims, you would have to get an upper-level Camry trim (XLE or XSE) to get that as a standard feature. At our Kia dealership in Woodstock, Georgia, we make customer satisfaction our top priority—as evidenced by aggregated reviews on DealerRater.com and Google, among other online platforms. So, if you are looking for the ideal place to test-drive and buy your 2018 Kia Optima, rather than the 2018 Toyota Camry, come see us today. 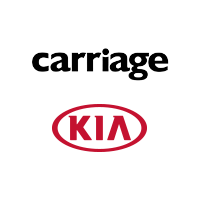 You can call us to set up an appointment so that one of our Kia specialists will be assigned to you.